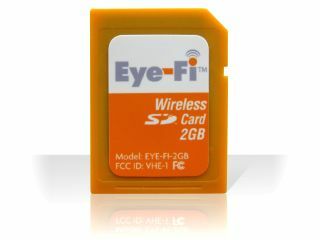 Eye-Fi, the company behind the wireless SD cards, which established the product in the marketplace, has criticised the SD Association, stating that several of its key patents will be infringed upon if users create their own wireless cards. Last week, the SD Association announced that it had devised a new Wireless LAN SD standard which meant that users could add wireless capabilities to SD cards. The company's chief executive, Yuval Koren, writing on the Eye-Fi blog, stated that the SD Association had deviated from its own rules by adopting Wireless LAN SD as a standard. This is because, the SD Association (which Eye-Fi is a member of), rules say that all member companies must be allotted a minimum of 60 days to present the intellectual property associated with a draft standard. According to Koren, the SD Association has been a bit hasty with its announcement as this period has not yet passed. Also on the blog, he said "We invested tens of millions of dollars and several years to create unique technology that lets people wirelessly transfer photos and videos directly from their camera and mobile devices." Koren claims that after the company made protests to the SDA, its executive director replied, "the SD Association has often made announcements during the IP Review Period because once this phase of the process has been achieved the only thing that could possibly change is the licensing and not the technical details." Eye-Fi says that 10 top camera manufacturers work with the company, along with "dozens" of leading photo-related sites to connect to the service. It claims that essential Eye-Fi patented technology would be violated by anyone implementing the draft specification. As of now, the Executive Members have still to vote on the adoption of the new standard, so it remains to be seen whether the objections from Eye-Fi will cause the Association to do a U-turn. Watch this space.